Lee Kum Kee “My Fun Cooking 2017”, co-organised by Lee Kum Kee and Desa Home, officially kicked off their first round of the competition at One Space @ The Square, One City. Thank you for the invitation and appreciated that having me to attend “My Fun Cooking 2017” event. Actually, I love cooking very much and i am very passionate of cooking different variety of cuisine. Is a blessed that I can watched live cooking show from four family teams members. So, who will going to win this competition? All right, shall we continue? Hehe..
Four family teams gathered together to showcase their cooking talents. This competition is staged for the purposes of encouraging young children in Malaysia to explore their inner cooking talents and enjoy joyous cooking moments with their family members. Renowned for the invention of oyster sauce and a diverse range of top quality Chinese sauces and condiments, Lee Kum Kee is committed to promote Chinese cuisines worldwide and nurturing future culinary talents. Lee Kum Kee - Plum Sauce which made into plum drink to get refreshing. Each participating team requires two family members to take part, with one of them being a child aged between 10 and 18 and the other one being their parent or guardian. The young participants are given a fixed budget to buy ingredients from SK Market, one of the event sponsors. The participating teams have to prepare their main dishes within an hour based on a designated theme using Lee Kum Kee sauces. For Round 1, Chicken would be the main ingredient. The participating teams flexed their innovation muscle to prepare scrumptious dishes. Shall we start now? Yes, once the participants finished shopping at SK Market. They have to be back at their station to prepare their cooking. The time start NOW!! OMG...the fragrance from the wok smell so good. Gosh, you made me so starving. Argghhh...!!! By the way, well done to all the four family teams that completed their dishes. Good job!!! Each of the family teams cooking looks fantastic. I wish you all good luck and let the judges decide. Congratulation to the winner of round 1...YEAH!!! “Malaysia has long been a key market of Lee Kum Kee with our production base set up in Kuala Lumpur a decade ago. 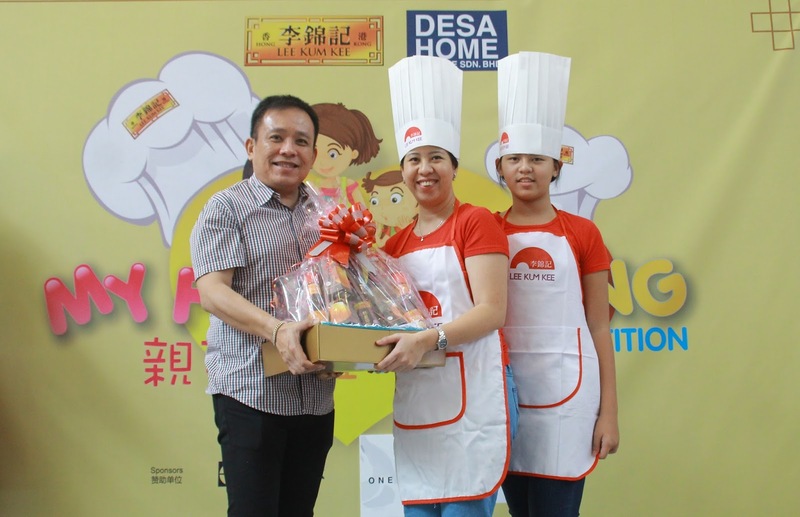 This competition serves as the right platform for the kids to enjoy fun cooking experience with their families with wide applications of Lee Kum Kee sauces,” said Ms May Lim, Managing Director – South East Asia, the Middle East, Africa & India of Lee Kum Kee. Well done to the other family teams too and congratulation. All electrical appliances used during the event are sponsored by Electrolux and Desa Home Theatre Sdn Bhd. All contestants will be awarded with gifted items. 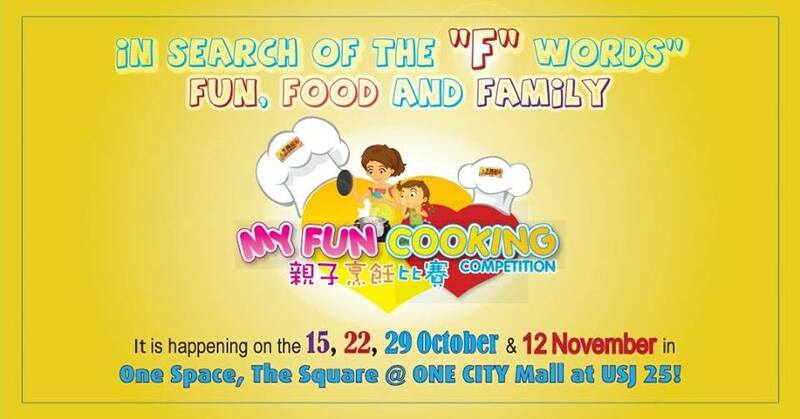 To further promote this mission in Malaysia, a total of four rounds of “My Fun Cooking 2017” would take place at One Space @ The Square, One City from 15 October to 12 November 2017. Twelve teams will compete to qualify to the Final Round. Each winning team from the first three rounds will proceed and compete with the celebrity, Mr. Peter Davis. Drinks made from plum sauce? Tasty or not? Btw you should participate laa..
<3 Very gorgeous, sweet lady at the event, indeed is Angie. Thank you for sharing this interesting & delicious blog - Now we know besides of Lee Kum Kee's oyster sauce, there are many tantalising sauce to complete a perfect dish. Bravo on your blog. Nice seeing yoy having fun at the event. Thanks Angie!